The University is making it easy for businesses to recruit students by offering a platform for internships. In turn, this initiative is also allowing students to get training in the ‘real world’ with some great results from this community connection – including an app created for the BNZ Crusaders, and a New Zealand Police intern organising a Crusader to take over their social media for a day. Reid Gibbens who studied a Bachelor of Commerce, was part of the Promotional Marketing 300-Level paper which helped create a promotional campaign app for the Crusaders. “We created and developed an app that targeted the Crusaders family demographic. Doug McSweeney, the Crusaders marketing manager, liked our idea and our strategy so much that the Crusaders purchased the intellectual property to use the idea,” says Reid. About the same time, Reid won a university scholarship to China, but stayed on the project as an advisor. “Doug made sure to run new ideas, and development related with the app, past our team – which included regular meetings. We definitely collaborated on the final product and throughout the production process, and this was important in keeping the product related to our strategy, to ensure the success of the campaign for the end consumers,” he says. Another student making waves in the community is Elly Fitzgerald, who has been working as an intern with the New Zealand Police since April, managing the Canterbury district’s social media presence. The second year media and communications student’s role with the Police began through a three-month internship set up under UC’s PACE programme (Professional and Community Engagement) in the College of Arts | Te Rāngai Toi Tangata. The goal of this programme is to showcase the many skills that students can bring to an organisation or business along with a fresh perspective and an innovative approach. Elly has been providing input into their social media engagement on Facebook and Twitter while running their Instagram account. “My initial goal with the internship was to double their Instagram following – which I’ve done in the past few months through various projects with their account. Being active was the first step, engaging with the audience and posting relevant content throughout the week. Showing behind the scenes footage of frontline shifts and everyday life on the job was the second step, and then of course the Instagram Takeover with Israel Dagg was the standout step that gained a lot of followers,” she says. Elly says she needed to find someone who was well-known within Canterbury, who had a good following on their own Instagram and an outgoing personality – which is why she thought “let’s get a Crusader”. “We struck gold with Israel Dagg as he has a genuine interest in joining the Police and he is a really awesome down-to-earth guy. I spent the day alongside Dagg and I think he had a great day with the Police. It consisted of visiting many different departments within the organisation and showing how his skills as an athlete are transferable into this career path,” she says. 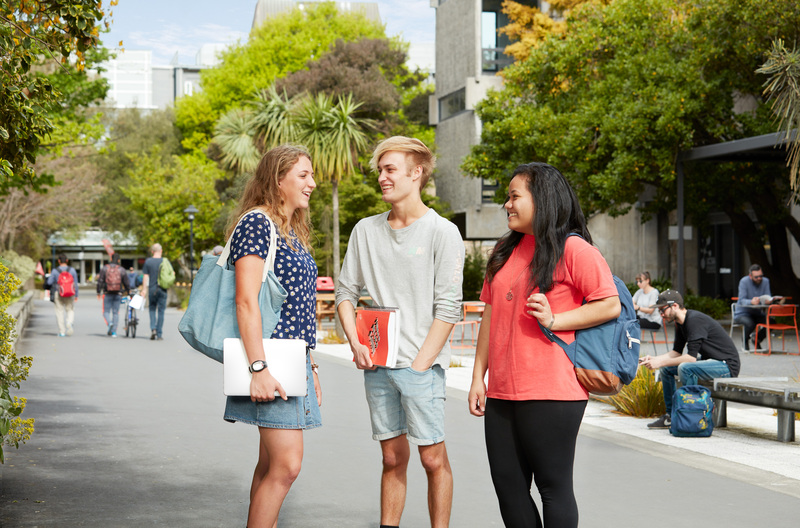 UC’s Careers, Internships and Employment make it easy to connect some of New Zealand’s top recent and future graduates with businesses for internships, research, work-integrated learning and project work, and voluntary and paid employment. Learning and Employment advisor Megan Blakely says there are internship opportunities within all areas of study. “Our students have the drive and talent, you have the opportunities, and we build the networks – so let’s connect and harness these valuable resources,” Megan says.